When one wakes up in the morning before a hard days work, one of the first things on the to do list is to make a cup of coffee. It becomes such a routine thing to do that we never actually consider purchasing a new machine. When we actually get round to buying a new one we tend to get totally overwhelmed by what is on the market. Certain brands such as Nespresso and Ninja Coffee tend to command really high prices that are out of reach for many average coffee consumers. 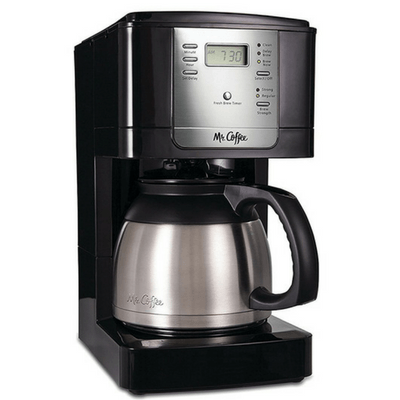 Here at Love My Coffee Cup one of our favorite coffee maker brands is Mr. Coffee. 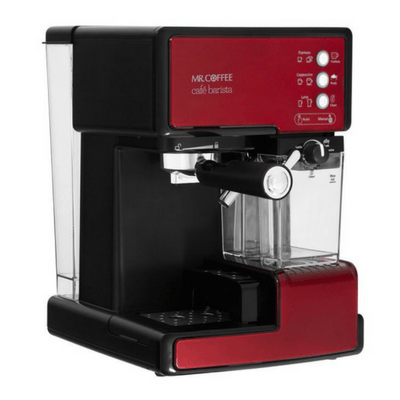 Mr. Coffee offer a fantastic range of coffee makers that are able to suit all budgets and preferences. Their specialty is automatic drip machines which are fantastic for time limited consumers. Mr. Coffee automatic drip machines come with a variety of different pot sizes. The smallest being a two pot, and the largest being a twelve pot. The twelve pots are ideal for a commercial or large family set up, while the smaller two and four pots would suit an individual drinker or couple. ​Furthermore, some of the Mr. Coffee machines have more advanced features such as temperature programming and modes which allow for your coffee preferences. 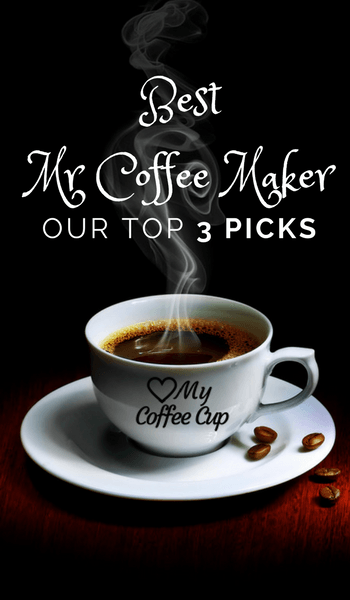 We at https://lovemycoffeecup.com have decided to field test and review our favorite three machines and decide what is the best Mr Coffee maker. The four cup switch maker is the most simplistic machine that Mr. Coffee has produced. Coming with a four cup pourer which you place on a heating pad; all you have do is press the ON button. Despite the very basic price point, the Mr. Coffee switch maker has some pretty cool and interesting features. One of the most notable is the “grab a cup” feature where the machine stops brewing at an interval just before the brew process is complete which will give you plenty of time to freely pour your drink. This also will save you time! The machine also has a transparent filter which is removable and will allow you to quickly and easily fill up with water. The transparent filter also has markings for filling. Our favorite feature is the lift and clean coffee filter which you can simply remove and take to your sink which will help reduce the hefty clean up process which all so often puts us off brewing our own coffee. Overall we think that this machine is a pretty good entry point for those just getting into brewing their own coffee. It is pretty simple and not massive on the more advanced features which could put some (especially older consumers off). The price point also puts the machine at a small initial investment and is great for those just getting their feet wet in the coffee brewing world. We have structured this review to showcase three different Mr. Coffee products. We feel it is important to always show the basic model in order to cater for our more budget conscious and entry level readers. This also allows us to give you guys room to compare between products and decide what you really want. 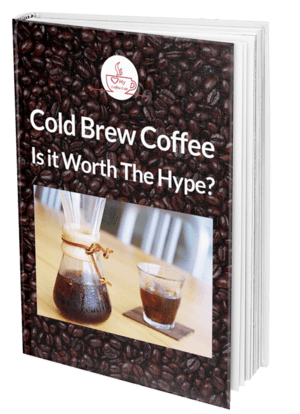 However, our previous results from writing reviews indicate to us that most coffee lovers will go for an intermediate product. We felt that the Mr. Coffee eight cup stainless thermal coffee maker was just that, an intermediate product. Boasting a super impressive price point of below fifty bucks this maker really steps up the game when it comes to features. In terms of design it is really similar to the basic model which we previously discussed. Boasting a cool black backing and stainless facing this product has a fantastic programmable interface which looks really pleasing to the eye and will look great in any kitchen. This coffee maker also comes with a stainless steel theme flask, pourer which will keep your brew warmer for longer once it is removed from the heating pad. One of the features we love about this product is the interface. With the touch of the button you will be able to control how you have your coffee. It has two modes, strong or regular. You will also have the ability to time your coffee which will be perfect for when you wake up in the morning, or come back from a busy shift at work. You will furthermore have the option to hot hold your coffee for up to two hours to keep it at the desired temperature if you are too busy or don’t desire to drink it all at once. If you are the owner of a bed and breakfast, or a business owner purchasing a machine for staff this is a fantastic feature. This product also boasts the same lift and clean coffee filter which makes the daunting clean up process simple and mess free. Overall, we absolutely love this machine for those willing to spend a little bit extra for a few more features. For the less price dependent coffee consumer; we think that the Mr, Coffee cafe barista machine is absolutely out of this world. Boasting a deep red exterior and black outer shell this machine is a real eye catcher. This machine has a variety of mode settings allowing you to enjoy a great espresso or a creamy latte. This is totally different from the other makers that we have looked at as it is more centered around different types of coffee as opposed to a simple filter brew. It is fantastic for those who are only looking for the one cup and not so much to make a batch for the whole family. Although the brewing process and is pretty quick (and you can utilize the double cup system to make a cup for two people) it won’t be a problem to make a drink for others. This machine also comes with an automatic milk throther which is ideal for making cappuccinos and lattes and will save the trial and error with frothing you own milk. The fifteen bar pump system will allow you to make an awesome espresso. A really interesting feature with this machine is the self cleaning cycle which will keep the machine smell and bacteria free. This will save valuable for those in a rush. So What is the Best Mr Coffee Maker? After reviewing the three different types of Mr. Coffee machines we feel they are all really good value for money. 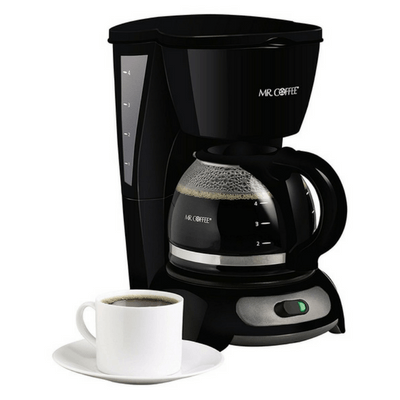 Our favorite however, is the Mr. Coffee eight cup stainless thermal coffee maker. We were extremely impressed with the ultra competitive price point of the machine which offered great value for money and provided a fantastic entry level product for the average coffee lover. This machine had some really impressive features and we felt that it would be really well suited to most consumers and ideal for those wanting to avoid the messy clean up process that brewing can incur!